News January 2019 – For those who love Put-in-Bay Fishing for walleye, mark the first weekend in February down for the Jer-Bear & Kurt Ice Fishing Tournament. Register at Topsey Turvey’s on Friday evening February 1st, and fish on the ice (thickness permitting) and enjoy the banquet at the Reel Bar on Saturday, February 2nd, at 6 p.m. The banquet will include 50/50, Chinese and gun raffles. Feel free to contact Dan Petro (419) 341-2274 for additional information and questions. All proceeds will be going to support the scholarships in Jeremy’s and Kurt’s names. Winter Weather We’re not sure about all of 2018, but this winter from mid-January through the end of February will be a good one for cold and ice. With the number of fish in the lake, watch for some great ice fishing. All Euchre games in January will take place at the Reel Bar. The game on Jan 2nd is “for Fun” since many people will still be returning from New Year’s activities and travels. This winter Euchre is in Three “Quarters.” The first Quarter concluded before Christmas. The winners for first Quarter are Corky and Jerry McFlint. It’s that time of year when everyone makes resolutions for the coming new years. We’re not going to make any resolutions; we’re going to make New Year’s predictions instead. So, here is a list of some of our predictions for 2019. The first prediction for the 2019 New Year is a busy 2019 tourist season, but not a record setter. The one hope is for better weather in the spring to make up the losses suffered early in the season last year. 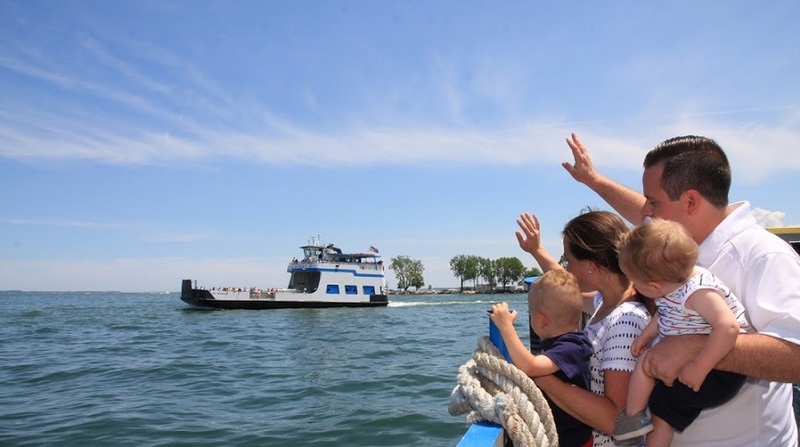 Put-in-Bay Hotels reports that early season booking are up several percentage points! We predict the Put-in-Bay Utility will be back on track and be making enough water. In 2018, mismanagement and turmoil took its toll and had officials on edge at times trying to supply enough water on busy weekends. Things are indeed looking more positive with the change of personnel made as last season was coming to an end. Anne Auger will remain as acting Village Administrator. She stepped into the position after Glenn Bastings was let go. Her years of experience working for the Village at various jobs in several departments has been evident since she’s taken over. She also makes a delicious punch for holiday parties. That alone should qualify her for the job. The water levels in Lake Erie will remain high. This makes the island subject to flooding. High water storms also can have a negative economic impact when the ferries can’t run and tourists can’t get to the island. Keep your fingers crossed for no nor’easters. Mike “Mad Dog” Adams begins his 40th Year entertaining at the Round House. We predict he’ll be announcing he’ll be going for 50. The new Ohio Attorney General will not be indicting anymore Put-in-Bay officials. The investigations and indictments that made the headlines in 2018 will be thing of the past. Sources close to Mayor McCann report there is a plea deal between the Put-in-Bay Mayor Mack McCann and the Attorney General’s office over the felony charges the mayor was facing. The last-minute deal came just before the Christmas holiday. The exact details of the plea were not forthcoming, but it is believed the felony charges against the mayor will be dropped if he agrees to the misdemeanor charges he is also charged with. Misdemeanor charges against his adult children, former Put-in-Bay Councilwoman Melinda Myers and current Put-in-Bay Councilman Michael McCann, would also be dropped. The mayor has a court date in mid-January. Since we are fresh from the holiday season, we come to the most difficult of predictions to make – one concerning everyone’s “favorite holiday at the end of July. A Put-in-Bay task force has been working to get the prime summer weekend back to normal. The last few years have seen the weekend just get worse and worse and we are optimistic the group’s work will at least begin to mitigate the negative public relations and economic impact for the island this weekend has become. a good resolution might be not to mention the name of nor promote that similar holiday in July It is definitely time for a change. The weekend last July was both a business and public relations nightmare. What was once a positive thing for everyone, has now turned sour. Let’s resolve to do everything we can to get back to normal. We predict many of the islands’ most popular summer events will be back and going strong for 2019. A ton of events are already scheduled. 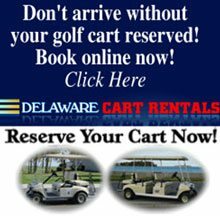 A very good web site which has a lot of detail about the most popular events can be found at the Put-in-Bay Visitors and Convention Bureau events website. What’s Coming up for 2019? Wow! 2019! We can’t believe another year has come and gone. With that, we should look forward to what’s going to be new on the island this new year. Here’s a mixture of what we’ve seen and heard about what’s in store for the island. Probably the biggest thing will be the arrival of the new ferry, the M/V Mary Ann Market. Expect to see it join the fleet as next summer ends. Marv Booker tells us a new seawall on the east side of the docks at The Keys is forthcoming this season. It will make a stay at the docks there much more comfortable and safe when those northeast storms come up. Work has already begun on enclosing the second-floor rooftop “green room” at Mr. Ed’s. We’re also getting wind of a new tree house bar which is to be built on the property behind Lovella’s that changed hands this past season. The Goat will have a new staircase leading from their parking lot to Das Lokal, the Biergarten in their front yard. Dave Zilch from Roger Miller Builders is putting on the new porch at the little cottage at the Anchor Inn, plus remodeling the restrooms at Hooligans. Todd Blumensaadt’s crew has been working on the old Nissen home behind Mossbacks on Bayview Ave. The never completed porch, deck, and restrooms of a bistro that was never finished are gone. The house has been gutted, new windows and siding installed, plus there’s a new roof. Sounds like a real improvement for Bayview Ave.
On the residential news January 2019 front, there are two new homes on East Point. One, which replaces the Historic House Seven Gables cottage at Shore Villas is already under roof and sided. The other is on a lot across from the Acorn Club on Columbus Ave. The lot is already cleared. Catawba Construction is building both these homes. Greg Auger is working on a large addition on Jim and Nancy Lang’s home on Chapman Rd. Greg’s crew is turning a tiny cottage into a big one. Also on Chapman Rd., Scott Market, with the help of Rich Myers, is remodeling the former home of Rick and Linda Rothert. The biggest residential project on the island is the new home going in where Bob Schmidt lived on ToledoAve. Bob’s house came down this fall and the construction site is stocked full with everything needed to build the home over the winter. The Put-in-Bay Garden Club recently came to the Village and the DeRivera Park Trustees with ideas for some improvements in the downtown park. It looks like there will be new baskets and brackets for the flower baskets on the lampposts. And last, but not least, is an ozone treatment system at the Put-in-Bay water plant. This additional treatment will protect users from conditions associated with HABS, harmful algal blooms, which can produce toxins harmful to humans and pets. The EPA mandated the installation of the system because of the amount of algae in the lake each summer. A dog park will be coming to Put-in-Bay soon. The Put-in-Bay Township Trustees and Port Authority are collaborating to design and construct the dog park at the Put-in-Bay airport. It will be located on the southwest end, in the open field along Airline Rd. next to Langram Rd. June Stoiber asked the trustees if a dog park was possible and offered a generous donation to help pay for the fence and dog park accessories. We are hoping to have it completed by early summer. Eric Engel, Rosann Keiser, and Kim Stoiber Morrisson are on the dog park committee. Your ideas and suggestions are welcomed. We are also looking for volunteers to help with the park.